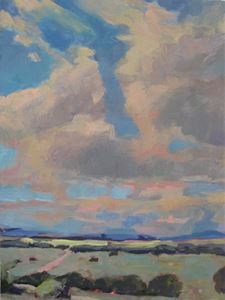 Winner of the Cloud Appreciation Online Show: I am pleased to announce the painting, 18. 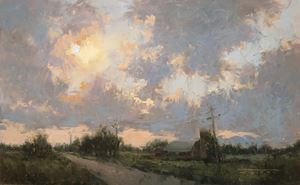 "Q Road Sunset" received the most votes for this online Contest. 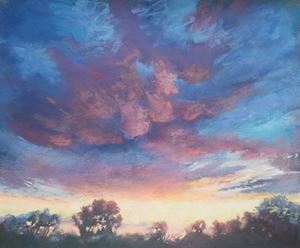 Congratulations to Jane Hunt, for creating this beautiful painting and also a big thanks to all of you who participated and voted, making this a beautiful Online Exhibit. 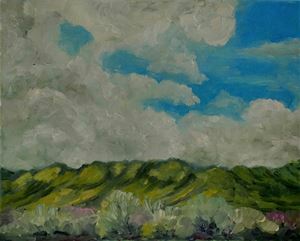 So again, congratulations to Jane Hunt for submitting this lovely painting, you can see more of Jane's work on her website at www.janehuntart.com. 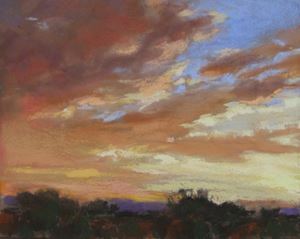 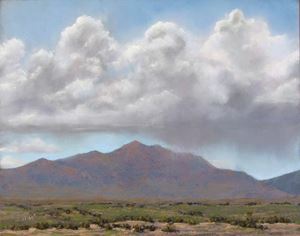 12- Clouds Over Zuni Mountains, - Deirdre Dyson- 10" x 13" oil on linen. 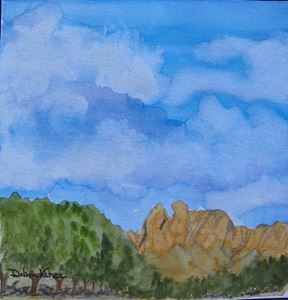 Painted in La Jara area, CIbola National Forest. 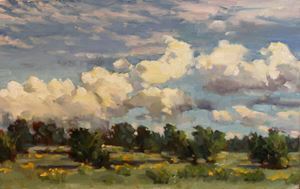 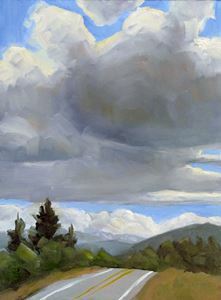 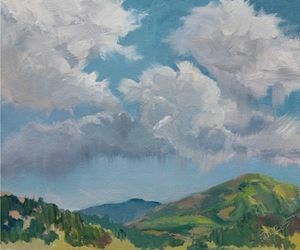 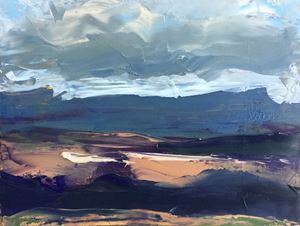 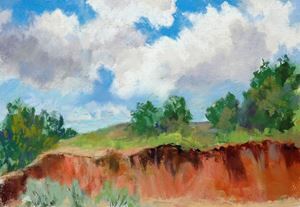 14 - Morning Clouds - Peter Grab - 11x14 oil on canvas, La Cienega NM. 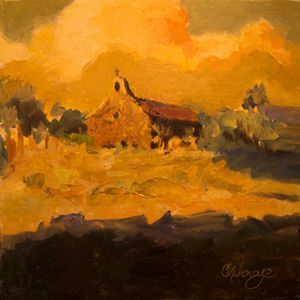 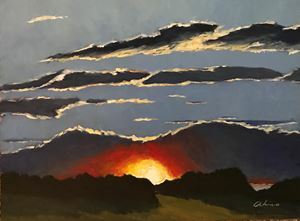 15 - New Mexico Golden Sunset - Catherine Mahoney - 12" x 12", oil.Location:North of Santa Fe, NM, on Hwy 285. 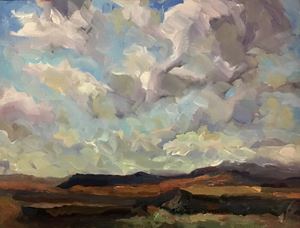 21 - West Mesa Volcanoes - Ruan Bacigalupa - 9"x12", Oil.Location: Albuquerque.